Twann, CH - Thomas Prescher Haute Horlogerie introduces the Nemo Sailor. The Sailor is how AHCI master watchmaker Thomas Prescher interprets steampunk, nautical and Jules Verne influences in a fine timepiece. 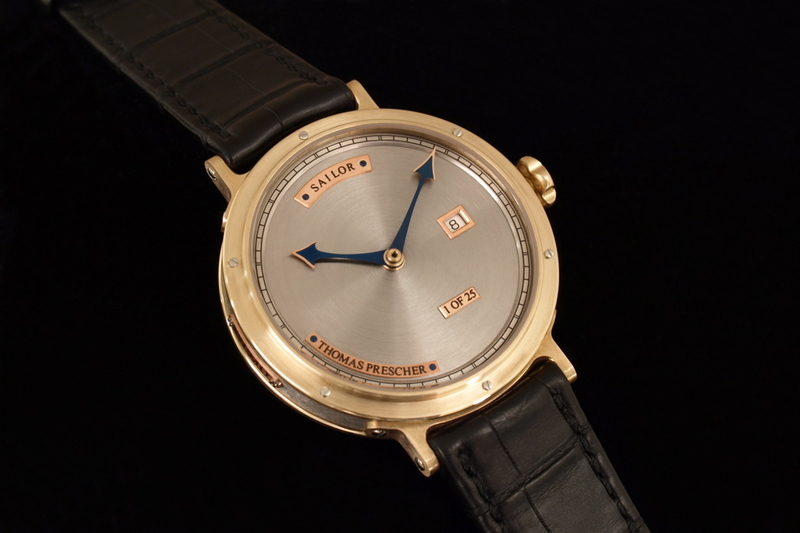 Thomas Prescher Haute Horlogerie specialises in handmade, luxury timepieces. The case, the dial and even the hands are fabricated entirely in-house and finished to the highest standard. 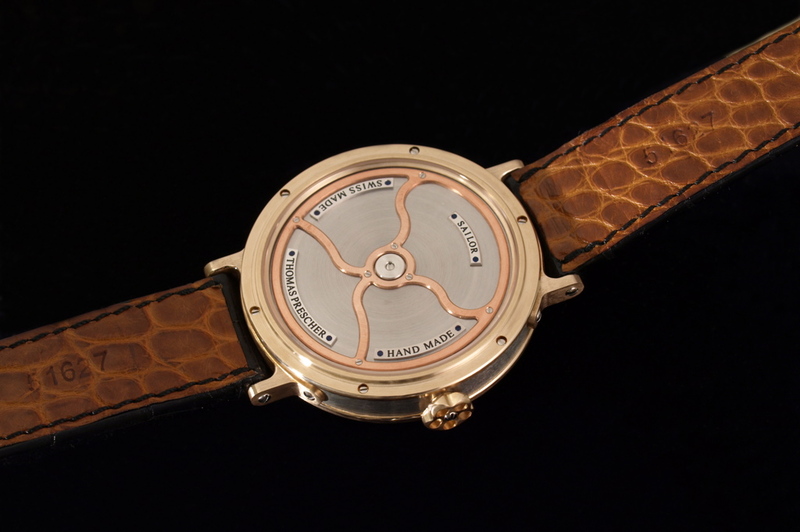 The handmade 44 mm copper, bronze and steel case is intended to age and patina over time. Inspired by a ship's porthole, the Sailor features screws that lend aesthetic appeal to the bezel, as well as function in attaching the tripartite case together. The dial features circular graining achieved by hand finishing. Inspired by leaves, the handcrafted hands are heat-blued. Even the case lugs are hand-finished with anglage at the contact points. The Sailor base-movement is the well-tested and reliable ETA 2824, which is then lavishly finished by hand. Inspired by an Art Nouveau stained-glass window, the movement is fitted with an exclusive rotor. As a specialist in custom tailored luxury, Thomas Prescher Haute Horlogerie also offers the Sailor with a custom fitted movement of a client's choice. An editorial of a recent meeting with Thomas Prescher is available at TimeZone's Independent Horology Forum, with further details on the entire Nemo Collection, as well as other Thomas Prescher masterpieces. 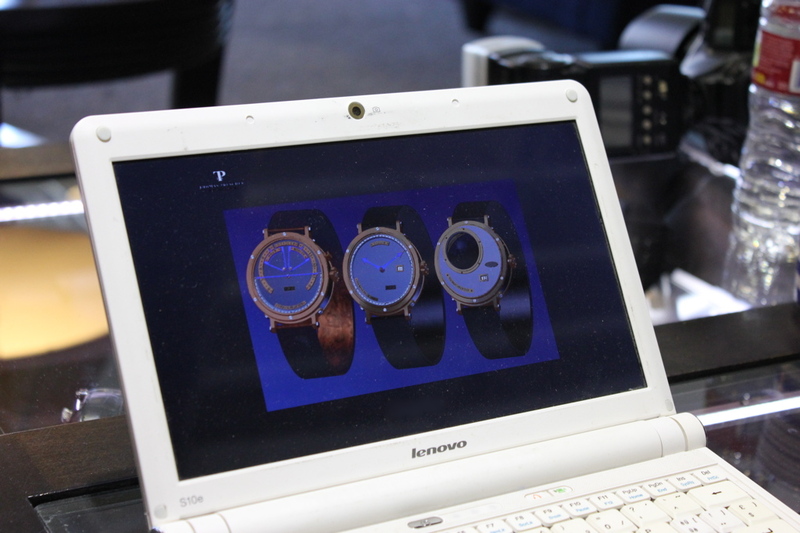 The editorial includes a video of the Triple-Axis Tourbillon in motion. The spiral-shaped tourbillon appears to hover in the air on its three flying axes - a kinetic sculpture of time. 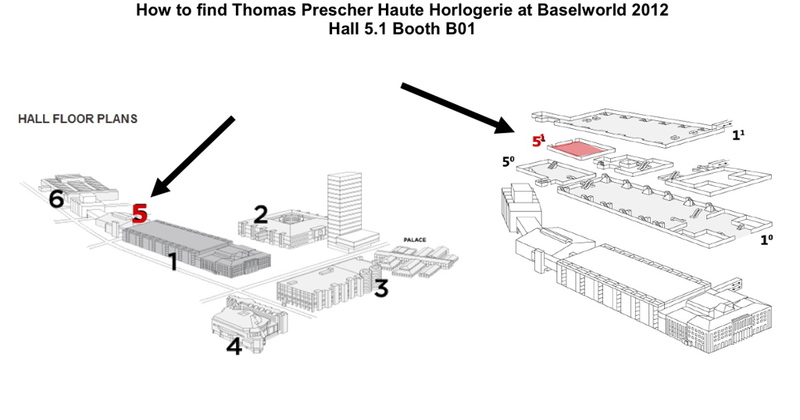 From 8 - 15 March 2012, Thomas Prescher Haute Horlogerie is exhibiting at Baselworld 2012 at the Hall of Emotions 5.1, Booth B01 where Thomas Prescher will display his Nemo Sailor and answer questions about his Time Capsule Project.